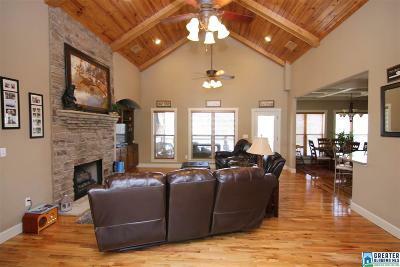 LAKESIDE LUXURY! 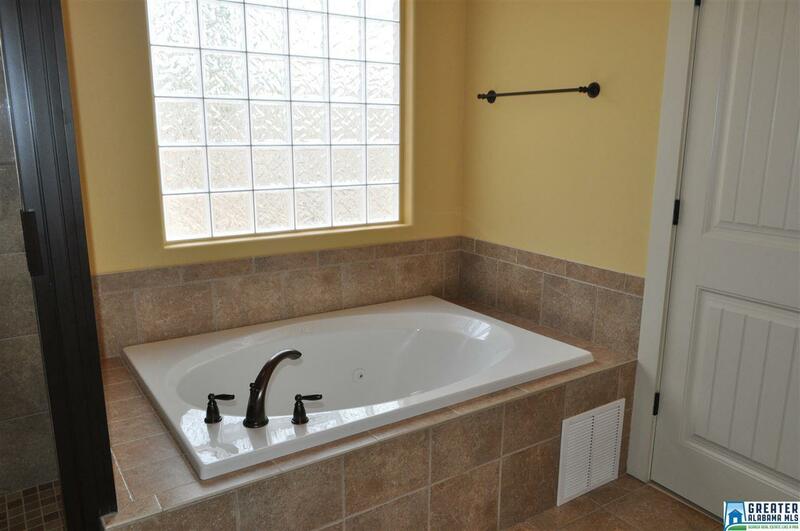 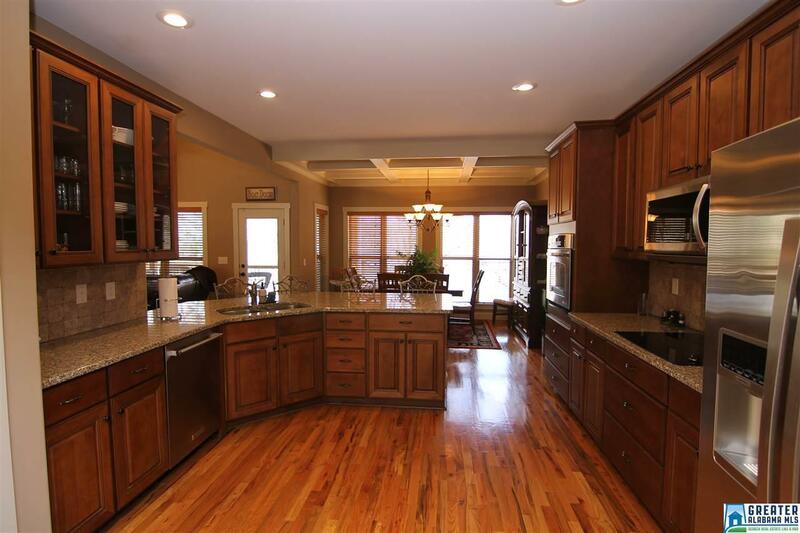 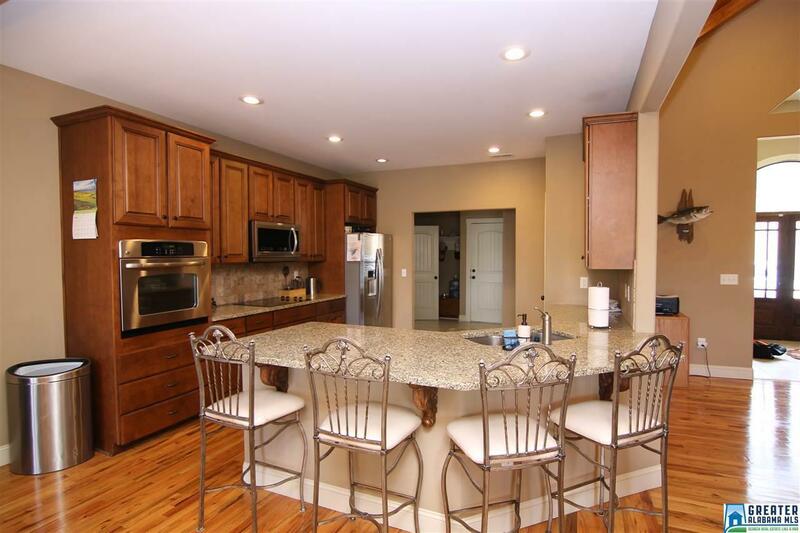 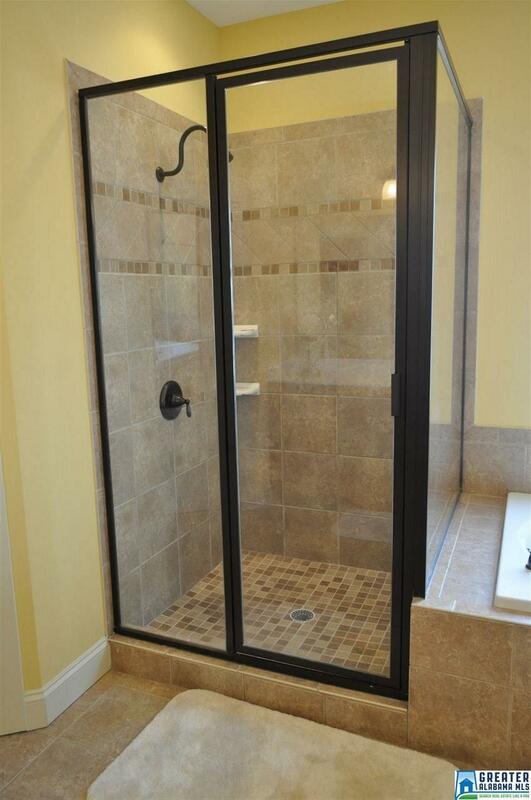 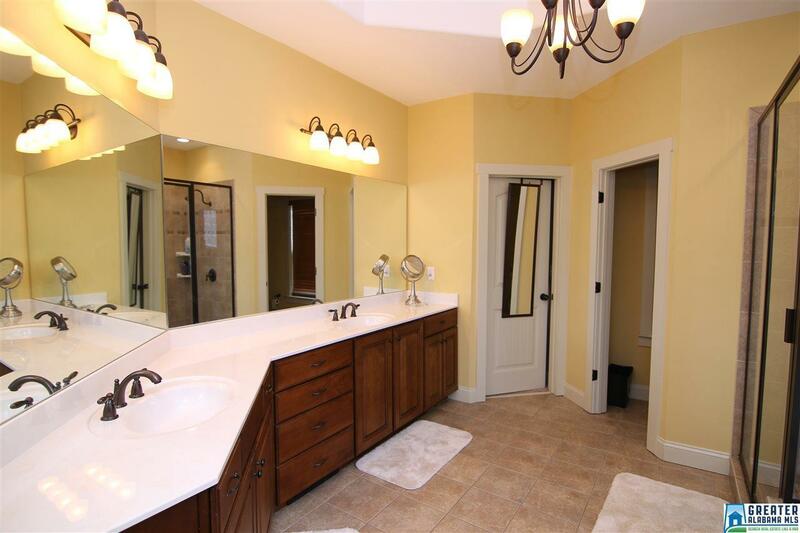 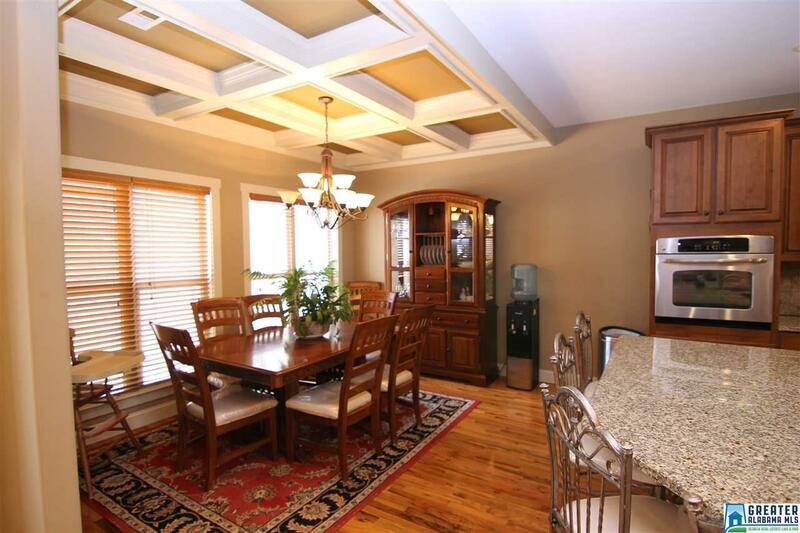 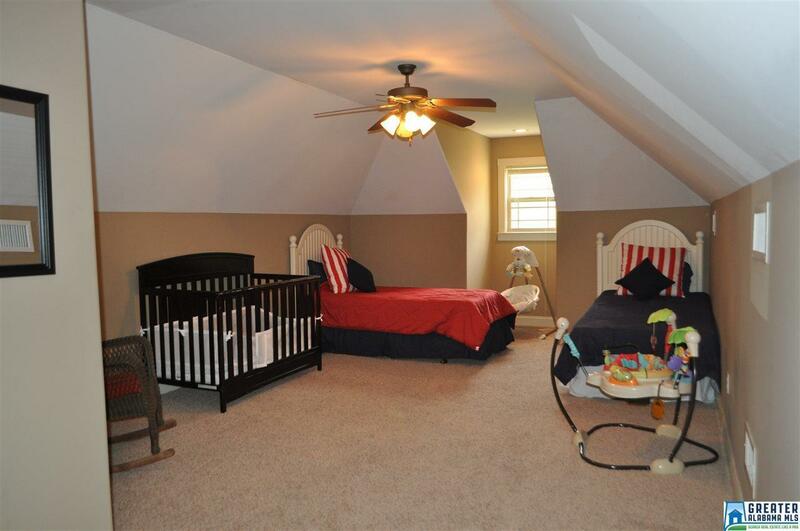 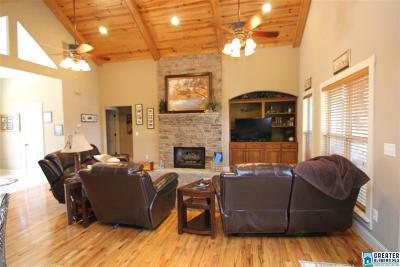 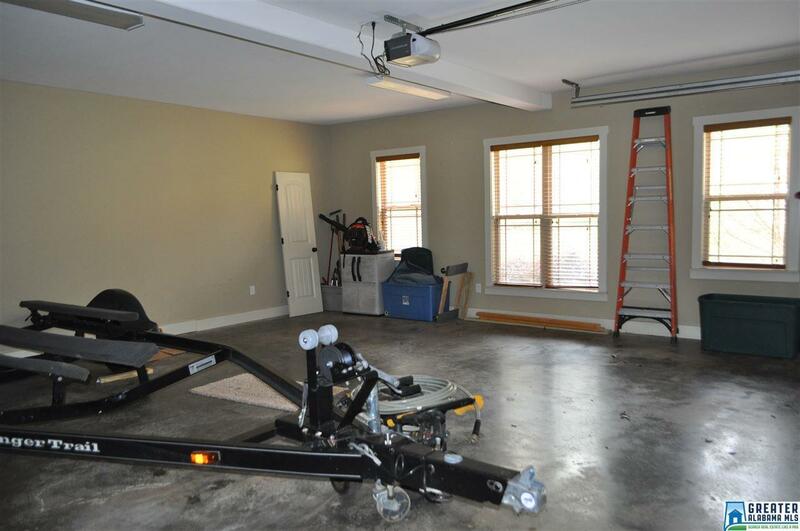 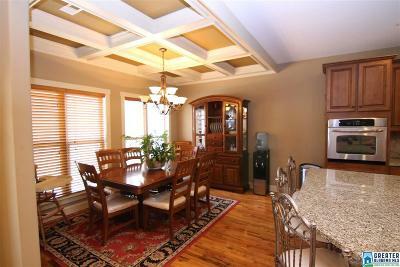 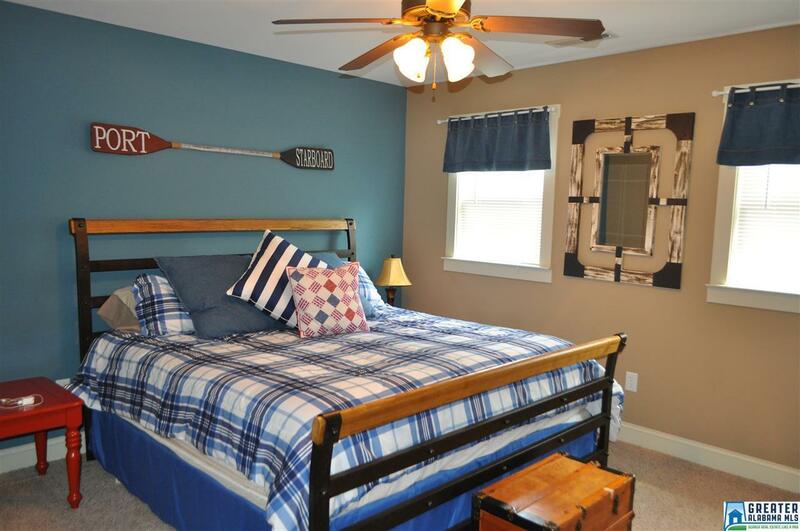 5 BR/3.5 BA, full-finished basement, 120'± of year-round-water! 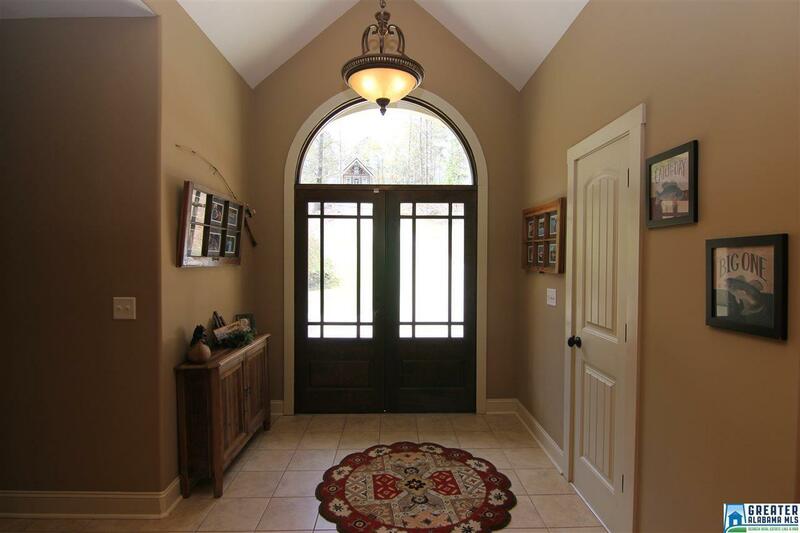 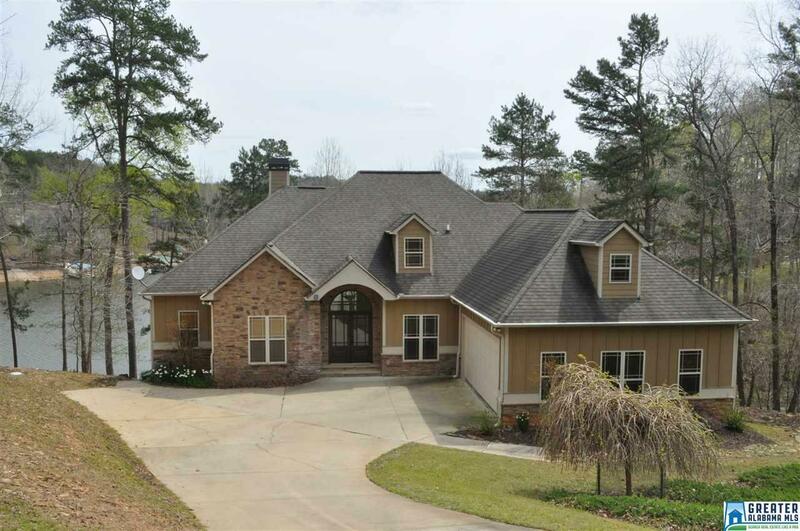 Open foyer leads to oversized living area with stone fireplace, tongue and groove cathedral ceilings, hardwood flooring, and an array of windows overlooking Lake Wedowee. 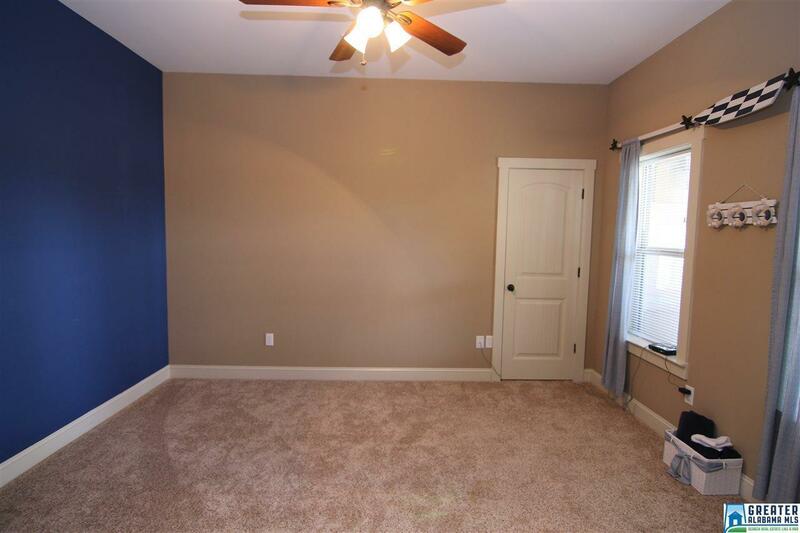 Off living room is large, open kitchen with stainless steel appliances, granite countertops, custom built cabinets, tile backsplash, breakfast bar, pantry, and dining room with coffered ceilings. 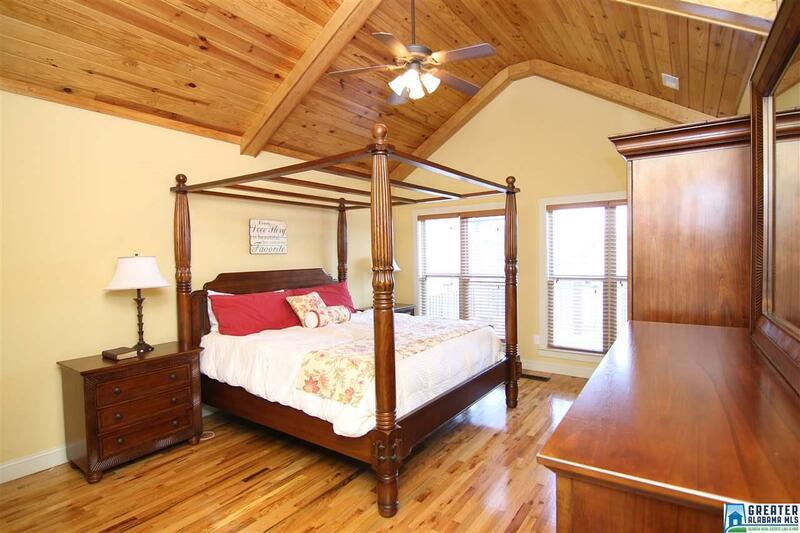 Master bedroom is located on main with master bathroom that includes double vanities, jetted tub, tile walk-in shower, and room sized walk-in closet. 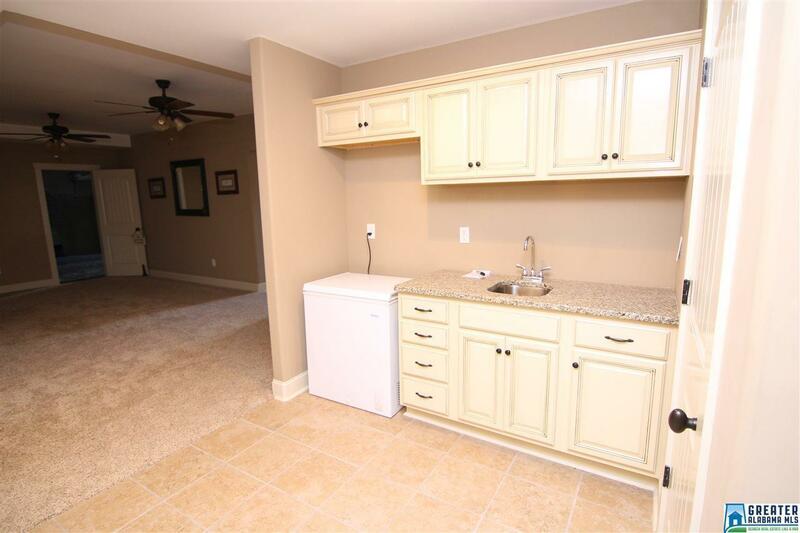 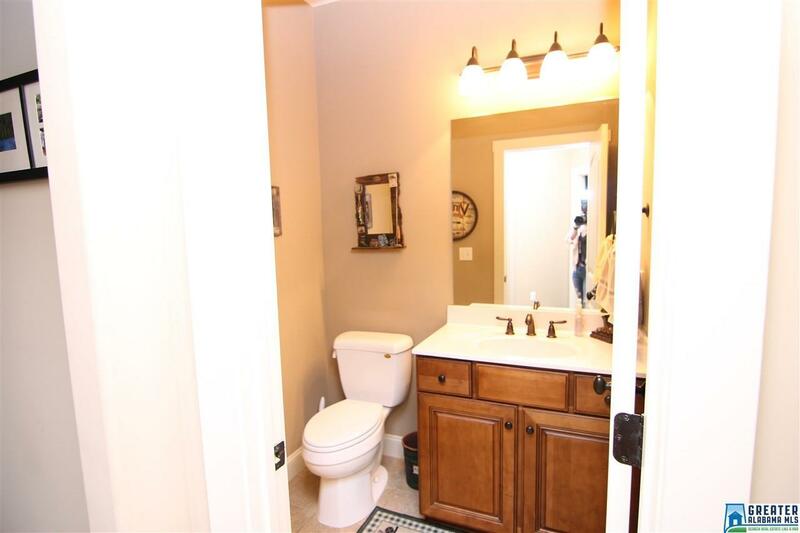 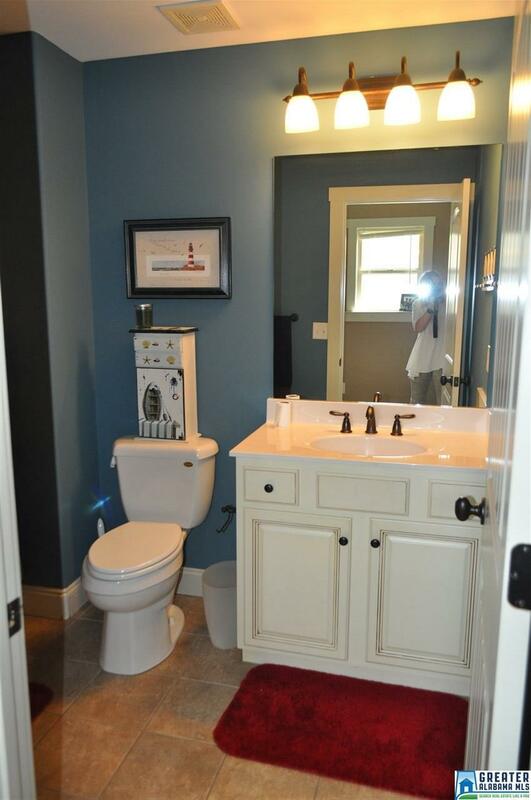 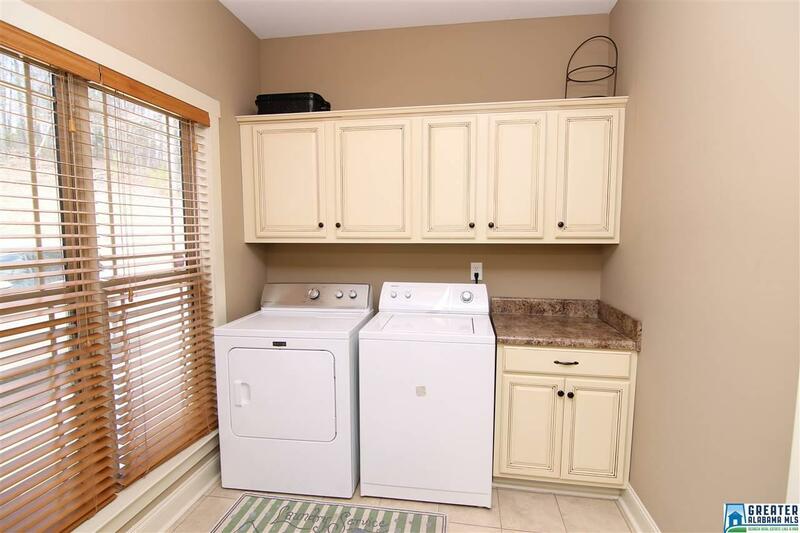 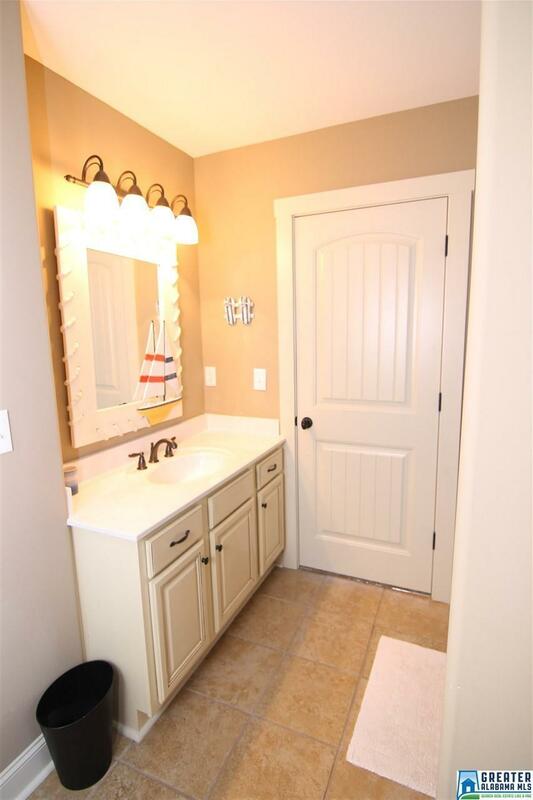 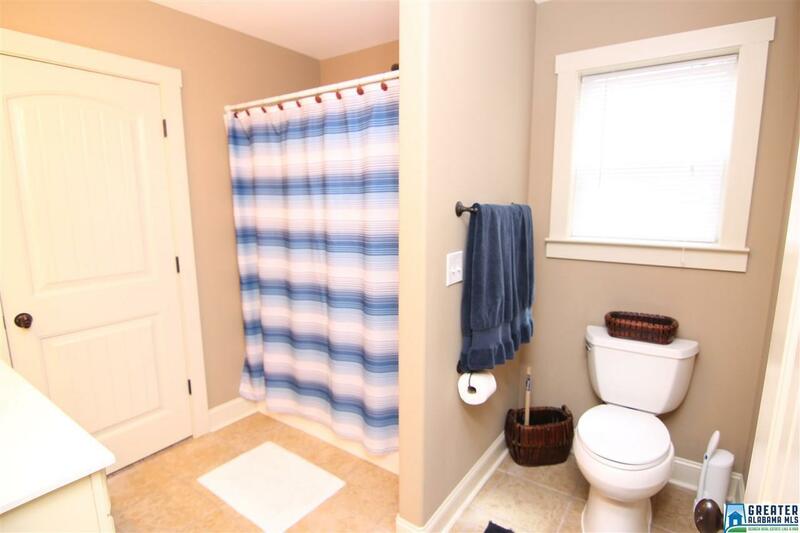 Also on the main is large laundry room with custom built cabinets and utility sink. 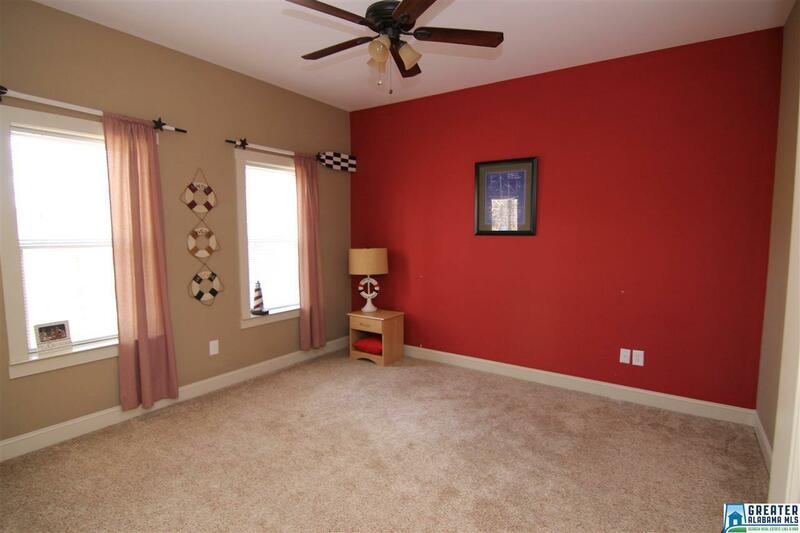 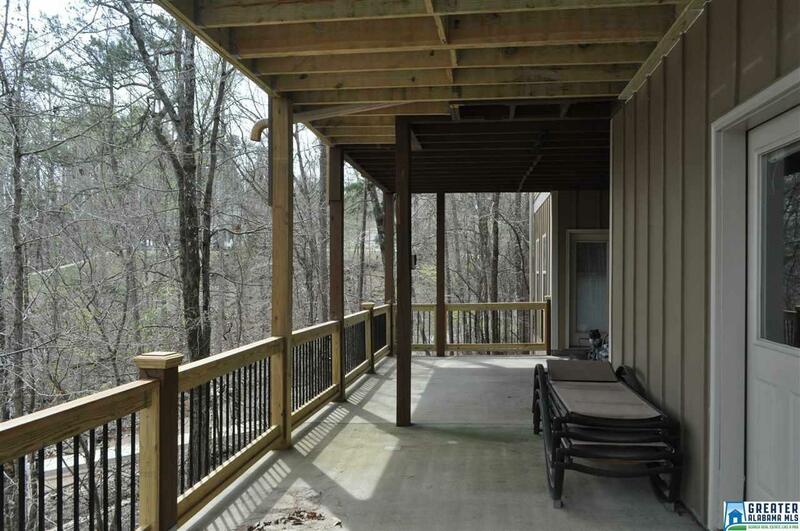 Upstairs features 2 more bedrooms and 1 full bath. 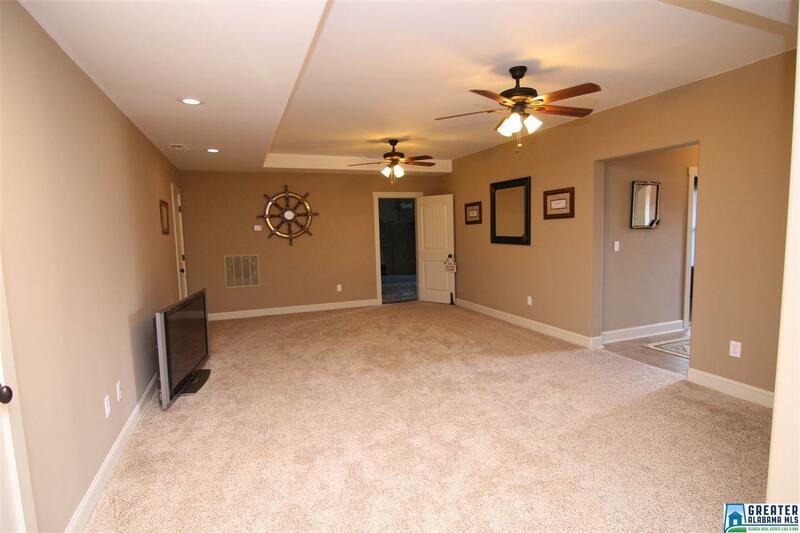 Downstairs is a full finished basement with kitchenette, den, 2 additional bedrooms and full bath, and large storage area. 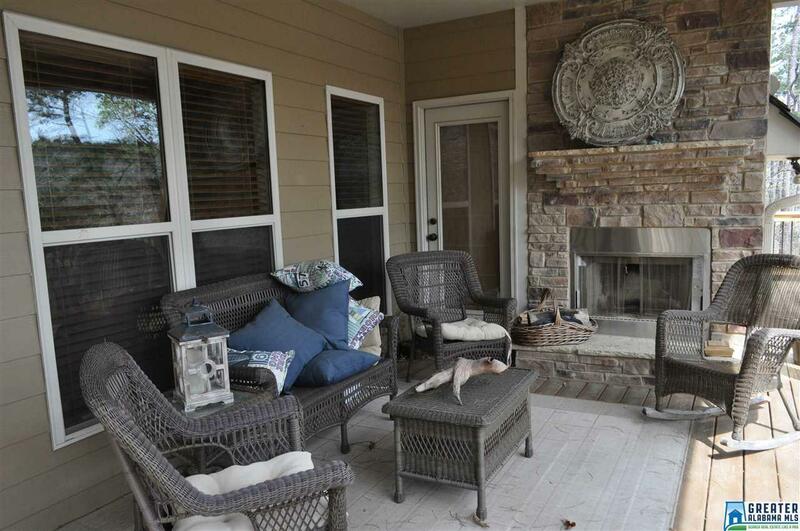 Upper deck has an outdoor fireplace. 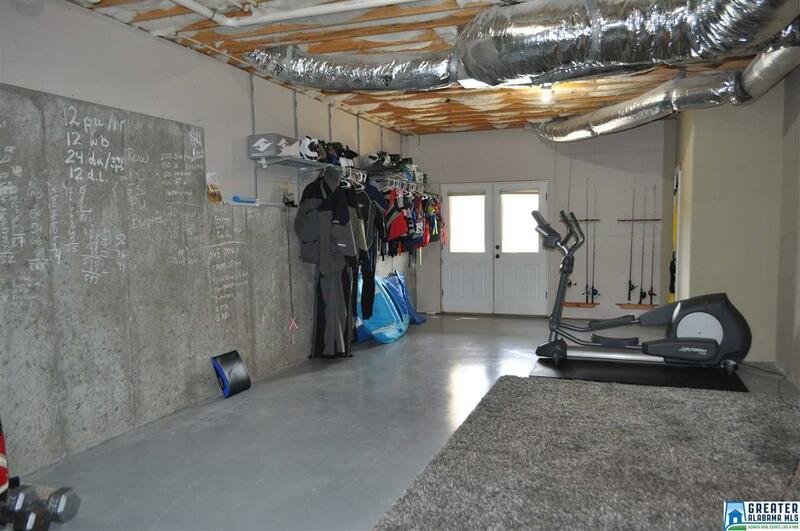 Covered/floating dock with power, concrete drive, 2car garage, city water, underground propane tank.